Yesterday we wrote about researchers’ views on the current state of artificial intelligence (AI) and the fact the current AI is dumber than a 5-year-old and no smarter than a rat. We also pointed out the warnings and threat AI poses to the society. At the end of the article talked about AI advances and how it will permeate every area of our lives. 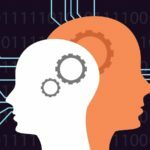 Today, we want to introduce you to top ten artificial intelligence startups taking AI mainstream. With so many AI startups out there, our initial focus is pick one top AI startup from one industry category. These top ten promising startups are taking AI mainstream and applying it across many industries ranging from conversational AI, speech recognition, robotics, cybersecurity, commerce to healthcare. What it is: SoundHound Inc. is the leading innovator in voice-enabled AI and conversational intelligence technologies. SoundHound Inc.’s Houndify is the first independent AI platform that enables developers and business owners to deploy it anywhere and retain control of their brand and users, while differentiating and innovating. Houndify provides all the technology ingredients necessary for voice and AI integration, including the world’s fastest speech recognition, the most sophisticated natural language understanding, easy to use developer tools, knowledge graphs, and a large and rapidly growing number of domains. Houndify technologies represent 10 years of R&D. What it is: Darktrace is the world’s leading AI company for cyber security. Created by mathematicians, the Enterprise Immune System uses machine learning and AI algorithms to detect and respond to cyber-threats across diverse digital environments, including cloud and virtualized networks, IoT and industrial control systems. Darktrace is also one of the world’s fastest-growing cyber defense companies and a leader in Enterprise Immune System technology, a new category of cyber solutions based on pioneering Bayesian mathematics developed at the University of Cambridge. Darktrace addresses the challenge of insider threat and advanced cyber-attacks through its unique ability to detect previously unidentified threats in real time, as manifested in the emerging behaviors of the network, devices and individuals. Some of the world’s largest organizations rely on Darktrace’s adaptive, self-learning platform to spot anomalous activity within the enterprise, in sectors including energy and utilities, financial services, telecommunications, retail and transportation. Darktrace was founded by world-class machine learning specialists and operational government intelligence experts. What it is: C3 IoT is an enterprise software company. C3 IoT delivers a comprehensive platform as a service (PaaS) for rapidly developing and operating big data, predictive analytics, AI, and IoT software as a service (SaaS) applications. C3 IoT also offers a family of configurable and extensible SaaS products developed with and operating on its platform including predictive maintenance, sensor health, supply network optimization, inventory optimization, energy management, and AI-based CRM. What it is: C3 IoT is an enterprise software company. C3 IoT delivers a comprehensive platform as a service (PaaS) for rapidly developing and operating big data, predictive analytics, AI, and IoT software as a service (SaaS) applications. C3 IoT also offers a family of configurable and extensible SaaS products developed with and operating on its platform including predictive maintenance, sensor health, supply network optimization, inventory optimization, energy management, and AI-based CRM. CrowdFlower is the essential human-in-the-loop AI platform for data science teams. 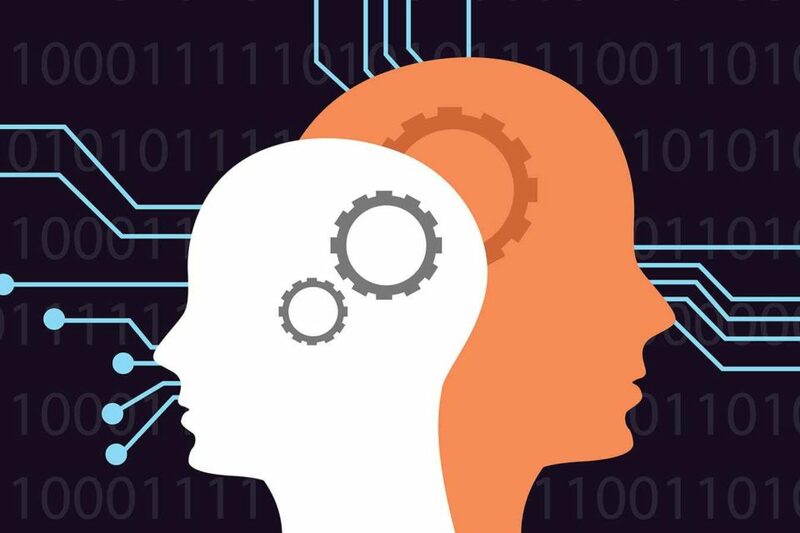 CrowdFlower helps customers generate high-quality customized training data for their machine learning initiatives, or automate a business process with easy-to-deploy models and integrated human-in-the-loop workflows. The CrowdFlower software platform supports a wide range of use cases including self-driving cars, intelligent personal assistants, medical image labeling, content categorization, customer support ticket classification, social data insight, CRM data enrichment, product categorization, and search relevance. Headquartered in San Francisco and backed by Canvas Venture Fund, Trinity Ventures, Industry Ventures, Microsoft Ventures and Salesforce Ventures, CrowdFlower serves data science teams at Fortune 500 and fast-growing data-driven organizations across a wide variety of industries. For more information, visit www.crowdflower.com. Investors:Trinity Ventures, Bessemer Venture Partners, Microsoft Ventures, Salesforce Ventures. What it is: Upstart is the first lending platform to leverage machine learning to price credit and automate the borrowing process. Founded by ex-Googlers, Upstart is the first lending platform to leverage artificial intelligence and machine learning to price credit and automate the borrowing process. The company’s proprietary underwriting model identifies high-quality borrowers despite limited credit and employment history by using variables including schools attended, area of study, and work experience. Upstart offers 3-year and 5-year fixed-rate interest loans, which are primarily used to pay off credit cards, consolidate debt, make large purchases, or invest in vocational education. In addition to its direct-to-consumer lending platform, Upstart provides technology to banks, credit unions and other partners via a “Software-as-a-Service” offering called Powered by Upstart. What it is: Anki is an entertainment robotics company dedicated to bringing artificial intelligence and robotics to our everyday lives. Based in San Francisco, Anki is dedicated to bringing artificial intelligence and consumer robotics to our everyday lives. Founded in 2010 by Carnegie Mellon Robotics Institute graduates, Anki creates consumer entertainment experiences using technology that was once confined to robotics labs and research institutes. Anki was recently named one of the top 50 most innovative companies in the world by Fast Company. Its first product, Anki DRIVE, is now on sale in the United States and UK. Unveiled during Tim Cook’s keynote at the 2013 Apple Worldwide Developers Conference, Anki DRIVE is an award-winning, first-of-its- kind game that lets players use a mobile app to race, battle and customize real robot cars. Following the massive success of Anki DRIVE, one of the hottest holiday products of 2014, Anki OVERDRIVE takes the groundbreaking battle-race experience in a new direction with state-of-the-art modular tracks, high-end and improved car designs along with big innovations in gameplay. What it is: Recursion Pharmaceuticals is combining high-throughput experimental biology, bioinformatics, and machine learning to rapidly identify new indications for many known drugs and shelved assets. Their focus initially is in the orphan disease space, but their core technology has exciting applications in oncology, infectious disease, and inflammation. Their system will allow them to bring their partner’s shelved assets to market for new indications at pennies on the dollar compared to traditional drug discovery approaches. What it is: Liulishuo is helping users learn English more efficiently and communicate with the world through cutting-edge AI technology & innovative product design. Powered by world-leading AI and NLP technology, LingoChamp offer personalized and adaptive language learning experience to 50 million learners in 379 cities in China and over 175 countries around the world. Liulishuo is the world’s leading AI + Education company, founded by Yi Wang, Hui Lin and Ben Hu in 2012. Yi was a product manager at Google in Mountain View, California and received his Ph.D. in computer science from Princeton University. Liulishuo hosts the world’s largest speech bank of Chinese people speaking English and has developed the world’s first “AI English Teacher” based on deep learning, which provides a personalized and adaptive learning path for every learner. The technology is proven to triple the learning efficiency (reduce the required learning time to one third) compared to human teachers in the CEFR standards (Common European Framework of Reference for Language), according to a study using the TOEIC Bridge Test from ETS. The Company’s flagship mobile app product “Liulishuo” has more than 50 million registered users as of July 2017 and over 600K paid users, from 379 cities in China and over 175 countries around the world. Liulishuo has closed Series C funding which was led by China Media Capital and Wu Capital. and Trustbridge Partners, IDG Capital, GGV Capital, Cherubic Ventures and Hearst Ventures are also participated in this round. 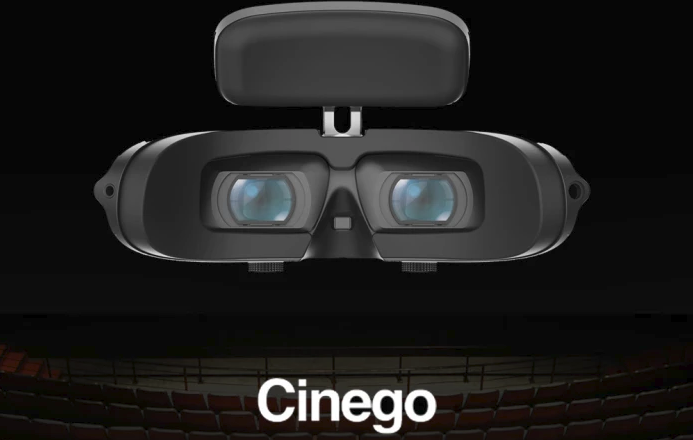 Investors: IDG Capital, Cherubic Ventures, GGV Capital, Hearst Ventures, Trustbridge Partners. 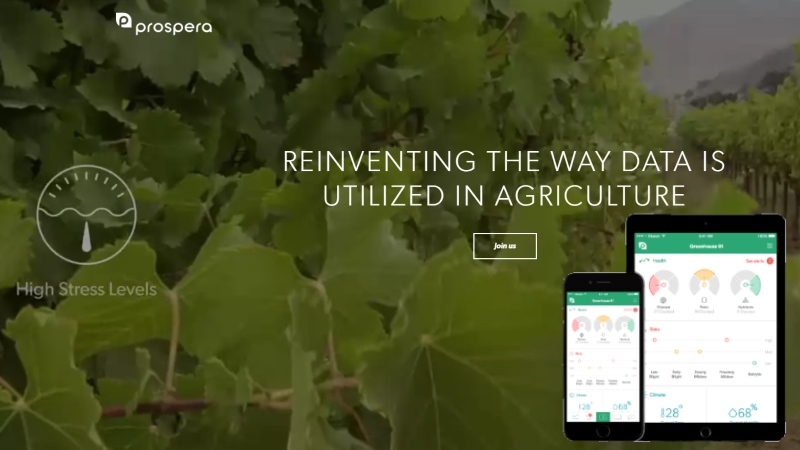 What it is: Prospera is an Israel-based agriculture technology data startup company that develops intelligent solutions. Prospera Technologies develop computer vision technologies that continuously monitor and analyze plant health, development and stress. Their technology captures climate and visual data from the ﬁeld and provides actionable insights to growers via mobile and web. Their team is built of computer scientists, physicists and agronomists combined with experienced agri-business leaders that together, are revolutionizing the tools with which they grow their foods. What it is: Graphcore is a semiconductor company that develops accelerators for AI and machine learning. It aims to make a massively parallel Intelligent Processing Unit that holds the complete machine learning model inside the processor. Graphcore has built a new type of processor for machine intelligence to accelerate machine learning and AI applications for a world of intelligent machines. Investors: Pitango Venture Capital, Foundation Capital, Robert Bosch Venture Capital.